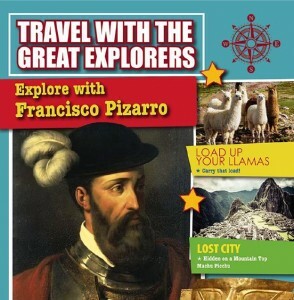 This informative book follows the travels of the Spanish conquistador Francisco Pizarro in Peru. Historical information and high-interest fact boxes are presented in an entertaining tabloid style that guides readers through major voyages, explorations, and discoveries. 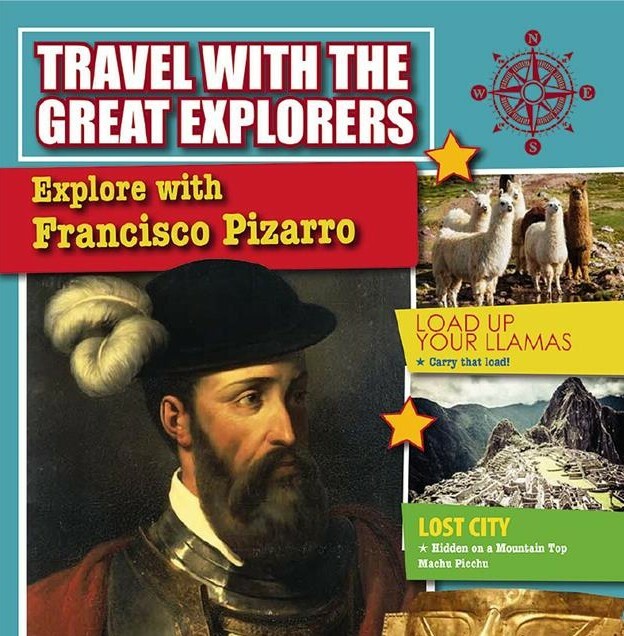 Topics include what led Pizarro to head into the Andes, first encounters with the Inca, the Inca capital at Cusco, Pizarro’s desire for gold, and the overthrow of the Inca Empire. You can order this book from Amazon or Crabtree Publishing.